Another of Michael Hunter's cute birds but this time a snowy owl. 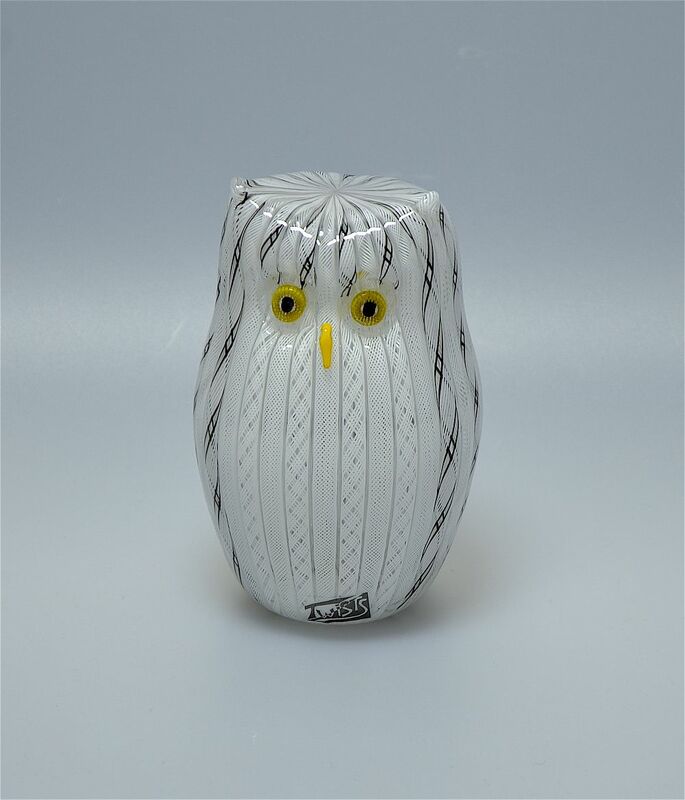 It is hollow blown with a body made of alternating white and black & white zanfirico canes, with a breast made of two types of white cane, a yellow cane beak and yellow & black murrine cane eyes. The base is scratch signed "M Hunter Twists 16" and has a Twists Glass studio label. This little bird is looking for a good nest!